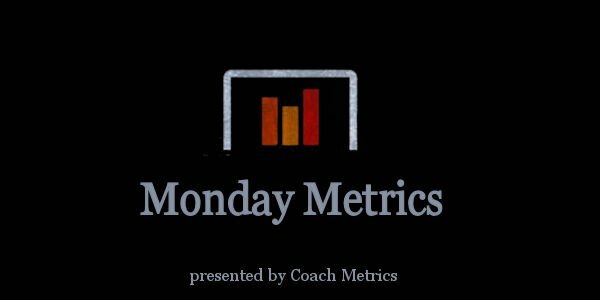 Welcome back to this week’s edition of “Monday Metrics”, our weekly feature that gets reports and feedback directly from the people who are utilizing “Bench Metrics” software in the rinks. Today we visit with Brennan Sonne, HC of Les Ducs d‘Angers in France. His junior playing career included stints in the BCHL and WHL before moving on to play three seasons at the University of British Columbia. He then worked three seasons as an Assistant Coach with the Everett Silvertips before accepting the Head Coach position in France. We posed a few questions to understand how Bench Metrics is being used with his team. CM: For you, what defines the difference between a “shot on goal”, and a “scoring chance”? BS: For me a shot on goal is a shot on goal. I count scoring chances as any shot on goal that occurs within the “house” or any shot on goal outside of the house through a screen or one that gets deflected. So every chance is a shot on goal but not every shot on goal is a chance. CM: Why do you track scoring chances, and which systems do you look for when you are breaking down those chances? BS: I find tracking scoring chances to be one the most important stats to track. Odds are the team that creates the most chances wins the game, plain and simple. It also gives you a clear picture on which players are creating or giving up chances. Every chance is created within a certain system whether DZC (defensive zone coverage) or LRF (on the rush). Therefore you get an idea of what systems your team needs to refine or rely on. For example if you’re giving up all your chances in DZC then you should probably continue working on that in practice. CM: Tell us about the “energy stats” you track. BS: If guys are missing a lot of blocks or hits then they are missing out on opportunities to give the team energy, and I want an aggressive, high energy team. CM: What have you learned from tracking turnovers? Do you track for and against? BS: I only track our turnovers. When we manage the puck well in games with few turnovers then most of the time we have success. I often use it as a coaching point and discuss with the team how many turnovers we have had in the meetings after games. CM: How has Bench Metrics software helped you in your first year of coaching? BS: Bench Metrics has given me an easy to use platform for compiling and managing my individual and team statistics. I use it every single https://ssl.gstatic.com/ui/v1/icons/mail/images/cleardot.gifday to help refine my views on individuals and team play. I view stats as another tool that coaches use to help give us a complete picture, and for me, Bench Metrics has done that exceedingly well. It’s very easy to use and easy to access even complex analytics.